2. 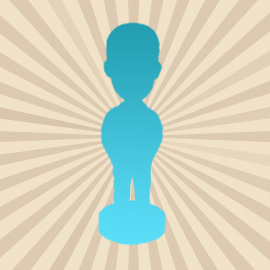 Select the hair color, eyes and skin colour for your bobblehead. or skip these steps and checkout directly, and then send us the photos via Email. After order confirmation, we will send proofing of your bobble head to get approval for each step. Please check your email inbox regularly. 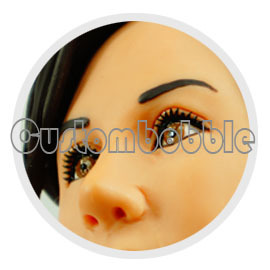 We use polymer clay, a type of nontoxic, polychrome and transformable material which can make your bobblehead very alive-looking. Each bobblehead is carefully wrapped by EPE pearl cotton and safely packed in a buckling-restrained carton. There's a slight chance to damage your bobble head during shipping. 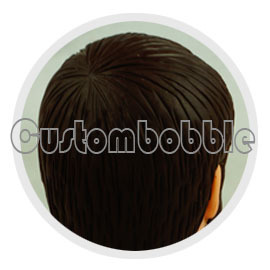 During the sculpture of the personalized bobblehead, our artist will send you the Head Proof, Body Proof and Finished Proof to get your approval for the next step. So please check the inbox of your email account regularly after purchasing. 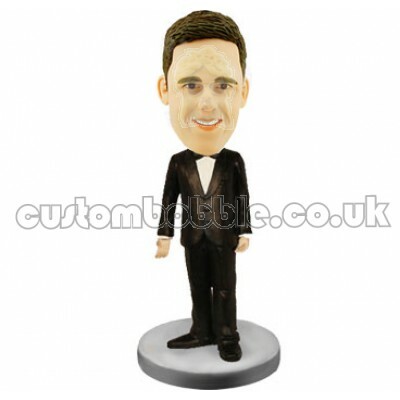 Normally we are able to have your bobblehead sculpted and delivered within 2 months, If you want to get it faster, you can choose the Urgent or Super Urgent options when checkout. Still can't find a favorite model? 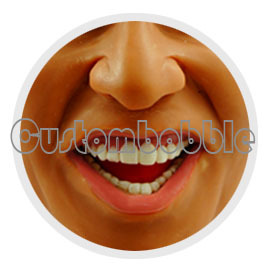 Why our custom bobbleheads are Top-Quality? 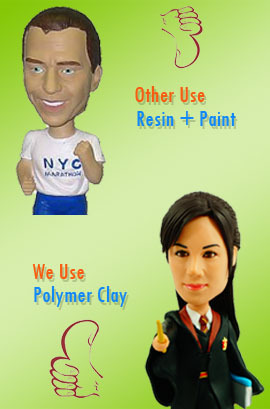 We use a type of nontoxic, polychrome and transformable material named polymer clay, which can make your bobble head very colorful and alive-looking. 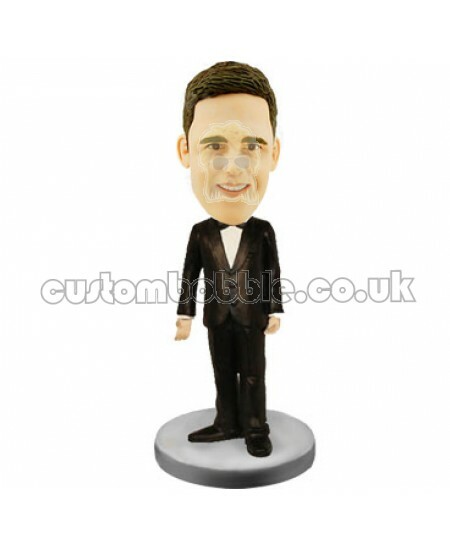 We do not need paint the custom bobblehead the colour won't fade away and rub off. 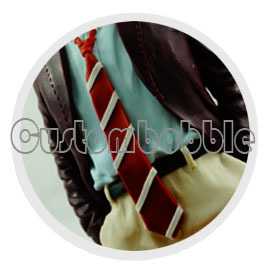 Many other supplier use cheap poly resin to make the bobblehead, and they paint it head-to-toe, which make it very crude. 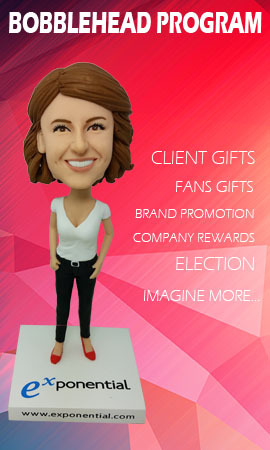 You can find the advantages of our custom bobbleheads by the following details. © 2018 custombobble.co.uk. All Rights Reserved.